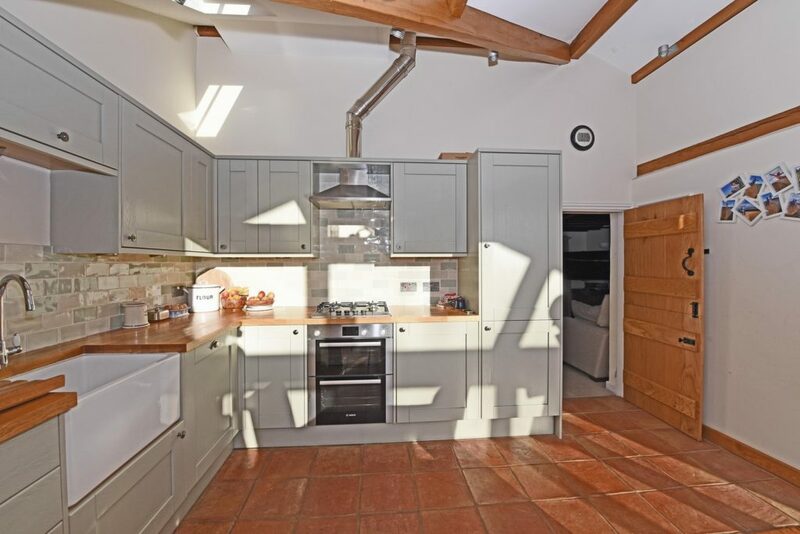 A beautifully presented tile-hung period cottage with a magnificent oak and glass extension to the rear, providing a stylish mix of old and new. 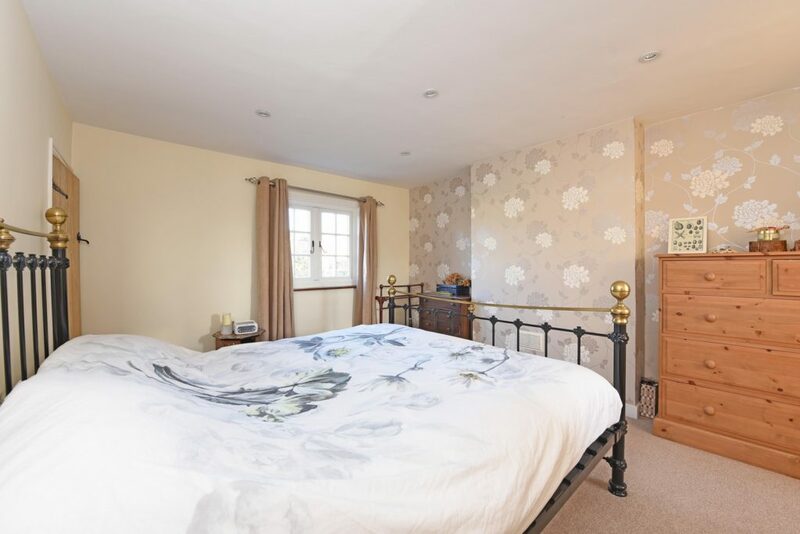 Situated within 100 yards of the High Street, with the benefit of front and rear gardens and off-street parking to the rear. 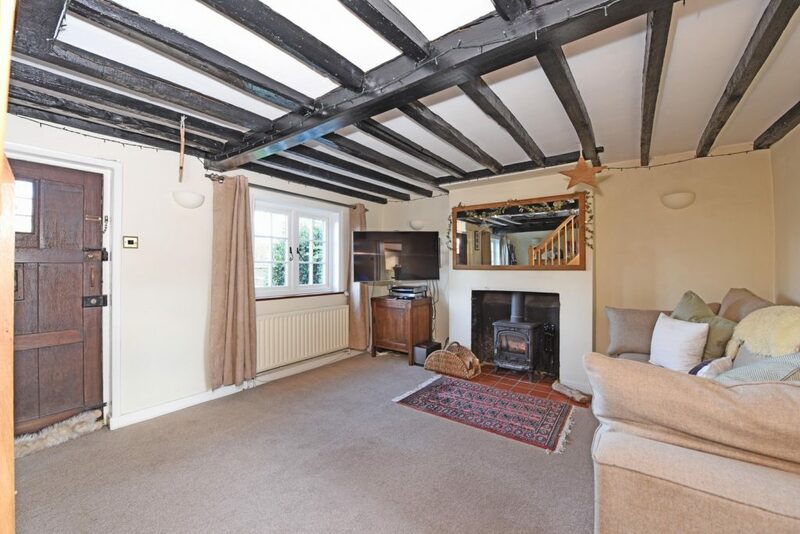 The property is accessed to the rear by a driveway with parking for several cars. A gate leads to the rear garden which is lawned with a large paved terrace adjoining the house. 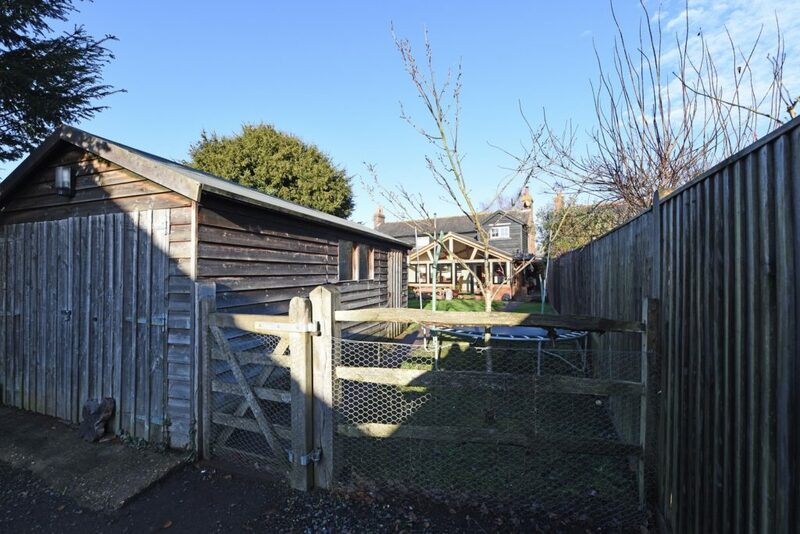 There is a large timber shed for storage and a wendy house. 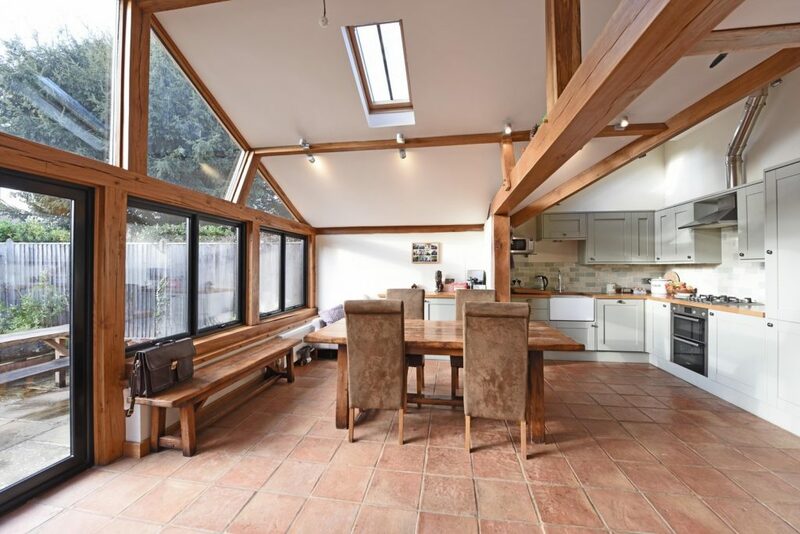 A large oak and glass extension runs across the rear of the building providing a stylish open plan living space. 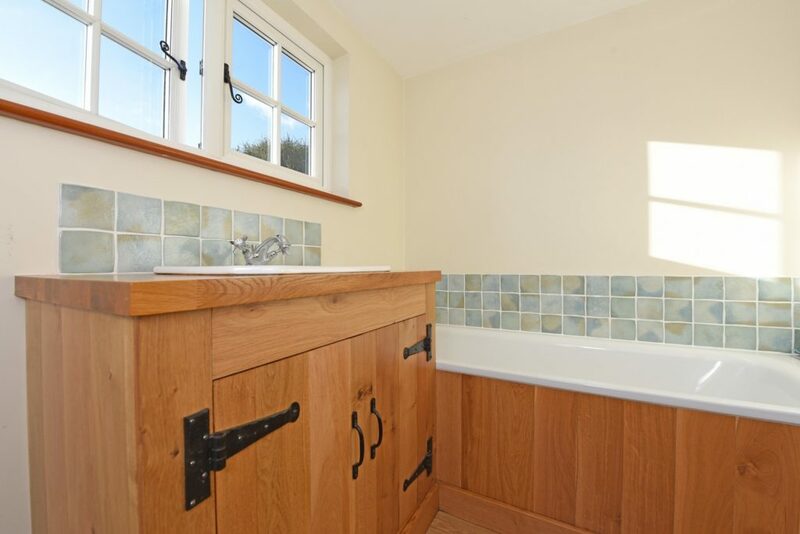 In one corner is a shaker style kithen with woodblock tops and a Belfast sink. 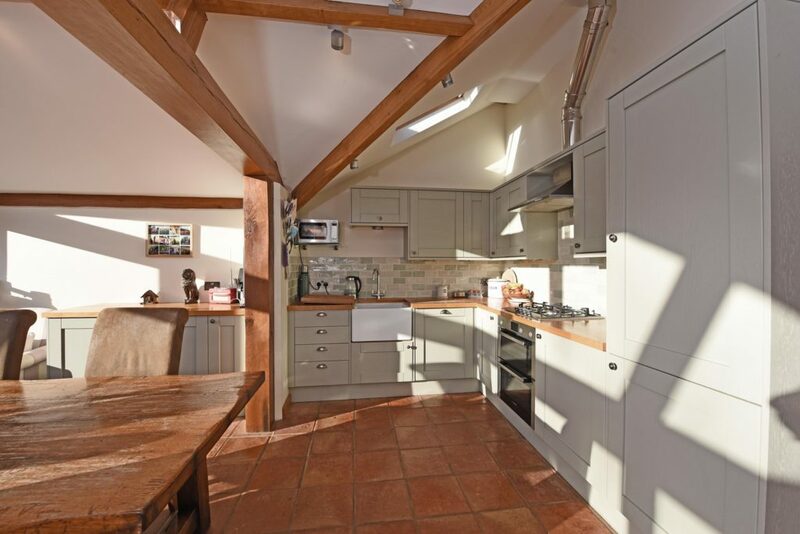 Intergrated appliances include electric double oven, gas hob, fridge and freezer. 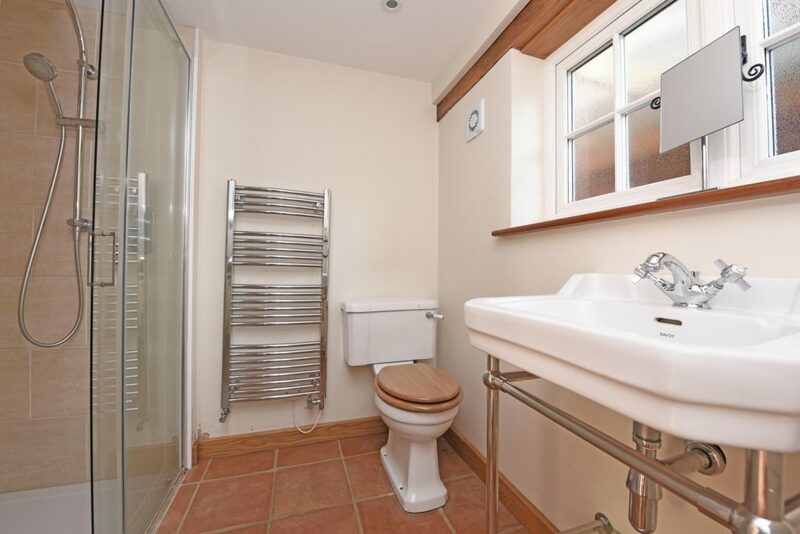 Next to the back door is a cloakroom/shower room with a glazed walk-in shower cubicle, heated towel rail, basin and wc. 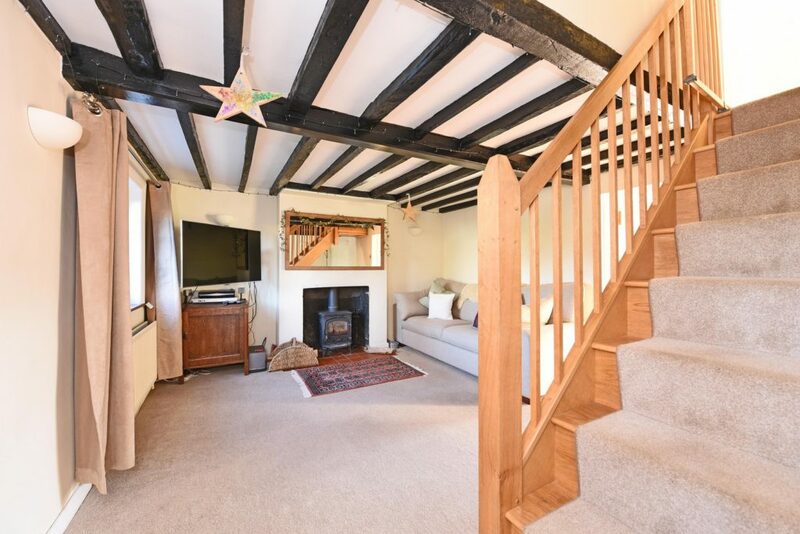 The original part of the cottage which would have been two reception rooms has been opened up into one big room with an oak staircase at its centre and an open fireplace at one end with a log burner. The stairs lead to a small landing with doors to the two bedrooms on either side. The small bedroom is a single room with windows front and back. 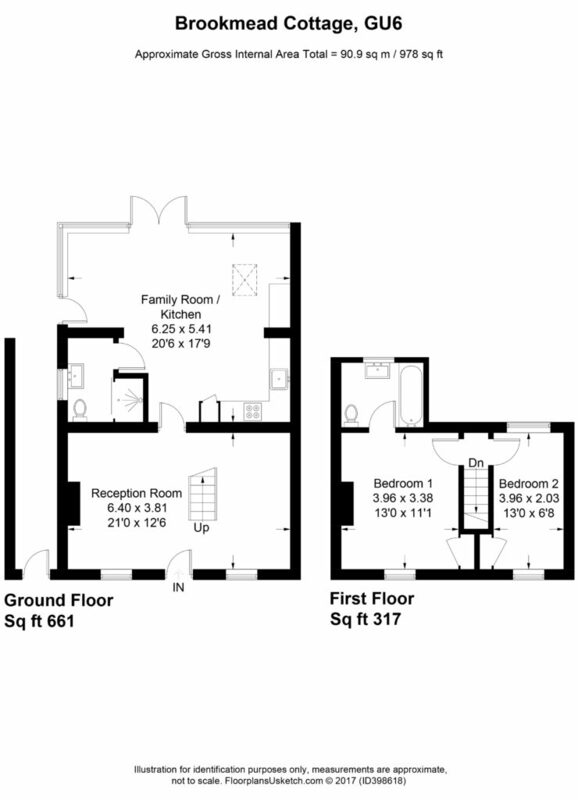 The master bedroom is a double room with an ensuite fitted with a oak flooring, oak vanity unit, pedestal basin, bath and shower attachment. 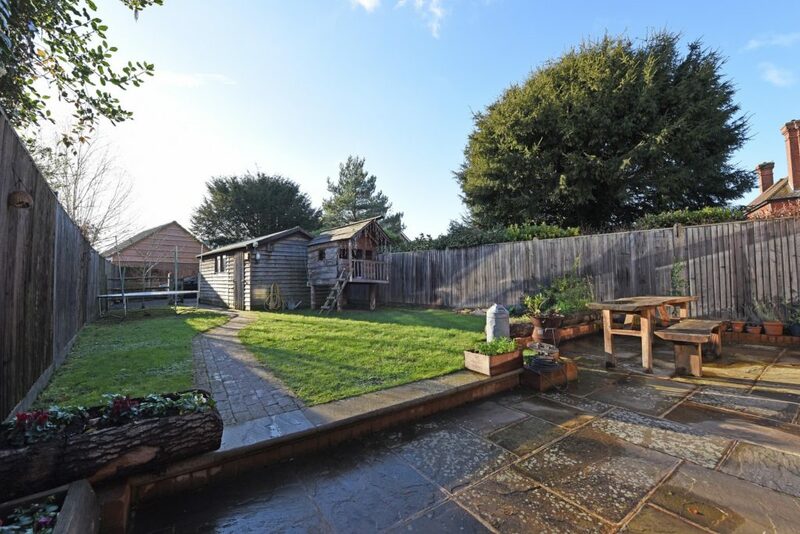 To the front of the property is a private front garden with picket fence, lawns and a gravel pathway. 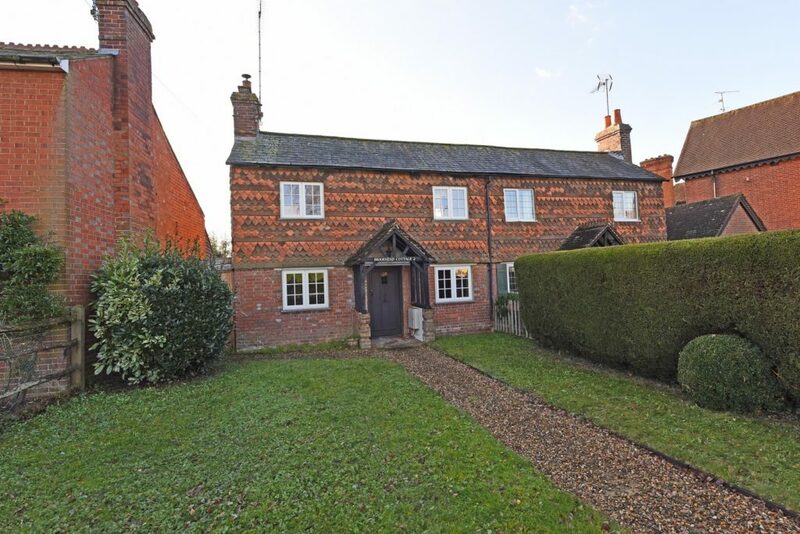 The property is conveniently located within 100 yds of the High Street and within a walk of local schools. The village of Cranleigh lies in the Weald on the main route from Guildford to Horsham. It sits at the foot of the Surrey Hills, which are a haven for walkers, horse riders and cyclists. The High Street boasts an attractive range of shops, and boasts two independent department stores, M&S Food and a selection of restaurants and cafes, many with pavement seating. The modern Health Centre, Leisure Centre and Arts Centre are situated at the southern end of the High Street. There are two supermarkets and a healthy variety of independent shops and established High Street stores. 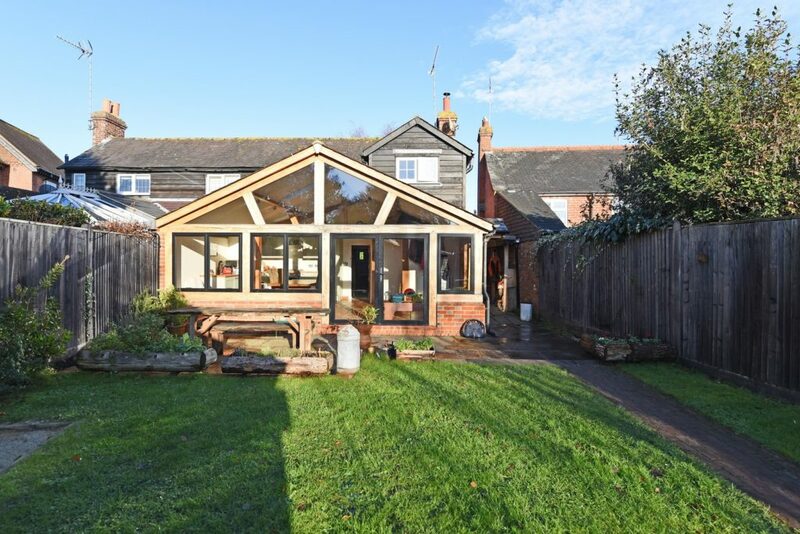 A beautifully presented tile-hung period cottage with a magnificent oak and glass extension to the rear, providing a stylish mix of old and new. EPC Band E.